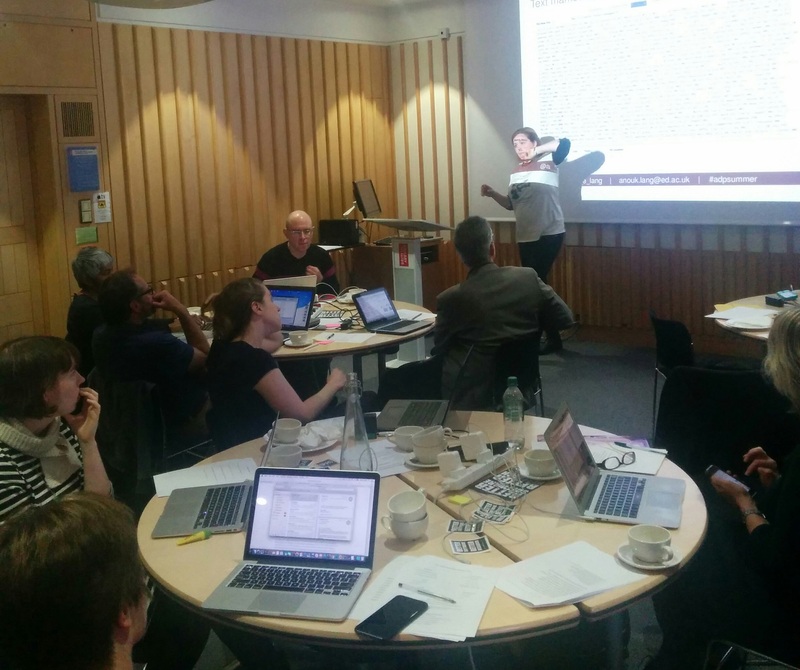 On 19 October curious historians descended on the British Library for Programming Historian Live. The Programming Historian is a suite of open access, peer reviewed lessons that provide practical instruction to historians thinking about using data, code, and software in their research. It is co-edited by 2013 Software Sustainability Institute Fellow Adam Crymble and it does an amazing job at bringing the methods and motivations of the (small but growing) Digital History community to the wider historical profession. This ‘Live’ spin-off, funded by my 2015 Software Sustainability Institute Fellowship, was designed to take into account the fact that whilst some of us learn just fine through self-directed tutorials, others need the mental space, in person support, and peer pressure of seminar style learning. The programme of events was ambitious, some would say foolhardy (including me at the outset!). Across the day six trainers covered hands-on, practical introductions to Extensible Markup Language (XML), XSLT (Extensible Stylesheet Language Transformations), Regular Expressions (regex), AntConc, Shell, and wget – a range of standards, software environments, and commands that intersected and cross-pollinated in pleasing, unexpected ways. We learnt that digital practices, such as encoding texts using TEI-XML, help us reflect on everyday editorial practices, even on the choices we make when we approach texts and take meaning from them. We learnt that investing effort upfront can enable us to re-imagine the texts we produce, even in the case of texts as simple as our notes, through transformation process such as XSLT. We learnt that even the most simple looking lines of code can be powerful not only when applied to our data, but also – such as in the case of regex – with respect to their interoperability, their proclivity to pop up in all sorts of computational environments and software. We learnt that unassuming software tools such as AntConc can tell us more than we imagined about the texts that we read and can introduce us to a world where communities love, support, and sustain software. We learnt the command line, a vision of computing that sometimes we’d prefer to forget, have their virtues and a clear place in any historical research that uses data. We learnt that software tools available on command lines can make us all archivists of the contemporary world. And we learnt that we wouldn’t be able to learn all about this without the goodwill, hard work, and openness of people, people we should always remember to acknowledge. 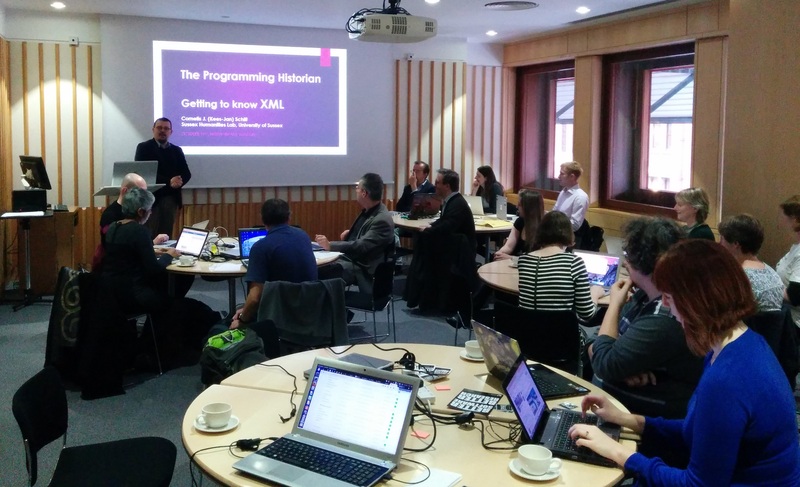 And so I’d like to take this opportunity to reiterate my thanks to Melodee Beals, Jonathan Blaney, Adam Crymble, Anouk Lang, Nora McGregor, Cornelis Schilt, Peter Webster, and all the attendees of Programming Historian Live for making the event such a rich learning experience. Notes, slides, and details of Programming Historian Live sessions available on GitHub for you to reuse. Finally, though conceived as a one-off, I’d be interested to hear from folks who think there is value in taking the concept further.